With National Coffee Week taking place in April, our members revealed coffee still reigns supreme as the professional meeting hot beverage of choice. Serving over 135,000 cups every week – equating to 33,750 litres and enough to fill over 125 bath tubs – our 36 members unveiled coffee outstrips demand for tea as only 73,800 cups were served in the same period. Although coffee still triumphs, members did note an increase in requests for speciality teas such as peppermint and green tea as well as the fruity blends. For more information about our incredible selection of Westminster venues or to find out how they can make finding a venue so much easier, click here. 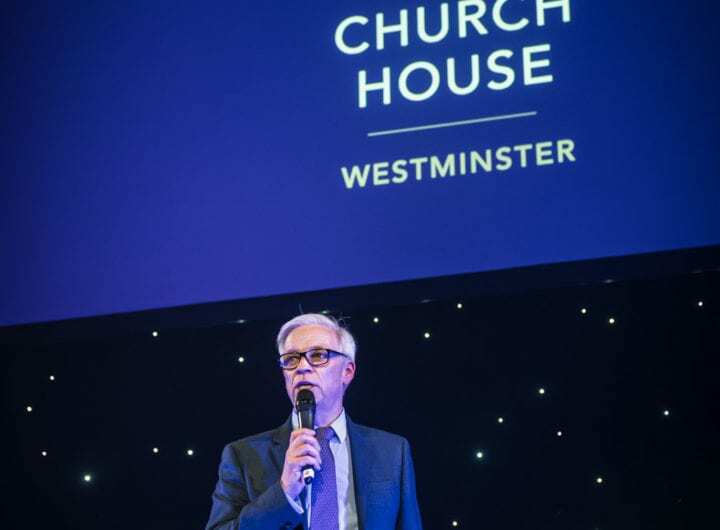 Shepherd’s of Westminster has announced its bar and restaurant will no longer be opening at weekends or on bank holidays .to concentrate on functions such as milestone birthdays, engagement parties and significant wedding anniversaries. An application has also been submitted for a licence to perform civil marriages and civil partnerships on the premises which, if granted, would mean ceremonies could take place in the larger private dining room, whilst the main bar and restaurant would be set up for receptions and wedding breakfasts. To find out more about booking Shepherd’s of Westminster for your next event, please contact info@shepherdsrestaurant.co.uk. RIBA Venues, the conference and events arm of the Royal Institute of British Architects (RIBA), based at 66 Portland Place in London, today announces it has won the contract to host the launch of new low-calorie Prosecco brand, Thomson & Scott Skinny. Thomson & Scott Founder, Amanda Thomson has single-handedly created a portfolio of sparkling wine for people who like to enjoy Champagne and Prosecco but with the benefit of no or low added sugar. Thomson & Scott Skinny Prosecco will be showcased at a special event at RIBA Venues on 19th April to mark its UK launch. The Thomson & Scott Skinny range will also be added to RIBA Venues’ preferred supplier list and wine list, the first meeting and events venue to do so. RIBA Venues’ Head of Venues, Stephanie Ellrott, says: “I was really excited when I met Amanda with her skinny drinks concept, which is a great idea and would suit a number of the events we host here at RIBA Venues. With the 2016 EE British Academy Film Awards ceremony fast approaching, BAFTA 195 Piccadilly Head Chef Anton Manganaro has been hard at work designing a menu of mouth-watering canapés to feed the A-list guests assembled for the big night. This year’s ceremony will see guests wowed by the following quartet of show-stopping canapés: Smoked Lincolnshire Poacher puff with chicken and apple salad, spicy tomato pickle and crispy skin; Loch Duart beetroot cured salmon, rye cracker, bergamot and dill mayonnaise; Lincolnshire hot smoked trout on Tattie scones with crème fraiche and lemon caviar; Crispy dark rye with pickled golden beetroot, pear gel and cranberry granola (vegan friendly). Happily for those without a ticket to the event on 14 February 2016, Anton has adapted his canapé menu specially for preparing at home. These new recipes are straightforward to follow, allowing you to bring a flourish of Hollywood glitz to your next dinner party. Find them on the 195 Piccadilly website. It’s no secret that breakfast is the most important meal of the day so we see it as our absolute responsibility to make sure the breakfast menus we’re creating are energy boosting, brain powering and sense stimulating for all clients who come to us for events and meetings in the morning. We’ll see to it that you’re set up for the day and keep hunger at bay so you can breeze through your agenda right through till lunch, with maximum productivity. While we love to offer the classic French and English brekkie favourites like hearty Westminster Sausage Baps and moreish Pains au Chocolate, it’s at our fresh juice stations where you’ll find your morning zing. Choose from a carrot and pear smoothie, or a celery and apple combination. Both smoothies use low sugar fruits – apples and pears – teamed with a flavourful vegetable, to give a slow release of energy throughout the morning, without that dreaded sugar spike. We also offer superfood juices such as beetroot and pumpkin, thought to increase circulation and boost brainpower early in the morning. Protein is known to keep you fuller for longer, so we’re big fans of eggs at breakfast. Our Egg Skillets are baked eggs with no additional fat, unlike traditional scrambled eggs that can include cream (or milk) and butter. We add ingredients such as mackerel, peppers and mushrooms for extra good carbohydrates, fats and protein, all in one simple dish. Mackerel is also high in Omega 3 Oil which is has multiple benefits to health. Studies have shown that omega-3 fatty acids reduce inflammation, combat depression and improve mood and memory. For good health, you should aim to get at least one rich source of omega-3 fatty acids in your diet every day. Excellent sources include salmon, tuna, walnuts, flax seeds, leafy greens and hemp seeds. Ingredients high in Omega 3 Oils, like our Confit Salmon and Rye Sandwiches, are a great alternative to a Smoked Salmon Bagel and avoid the processed white carbohydrates that can have an adverse effect on energy. We also offer ‘build your own yoghurt’ stations. Here you can team the good fats in yoghurt with superfoods high in protein, such as flax seeds, toasted nuts, goji berries and honey. It’s a delicious and nutritious breakfast option that injects energy into your body, avoiding that slow and lethargic feeling you might get a short while after filling yourself up on coffee, cakes, white breads and pastries. Need more tips and ideas for creating a breakfast menu that’ll keep your delegates skipping through till lunch? Just give the QEII Centre a call on 020 7798 4183 or email Debbie Lynch.